It was a great turnout to day by a crew of hardworking Shore lovers who put in plenty of effort hoisting logs, cutting slats and nailing stringers to improve the ladder bridges on Pangor. Lots of progress was made today removing rotten sections and replacing them. 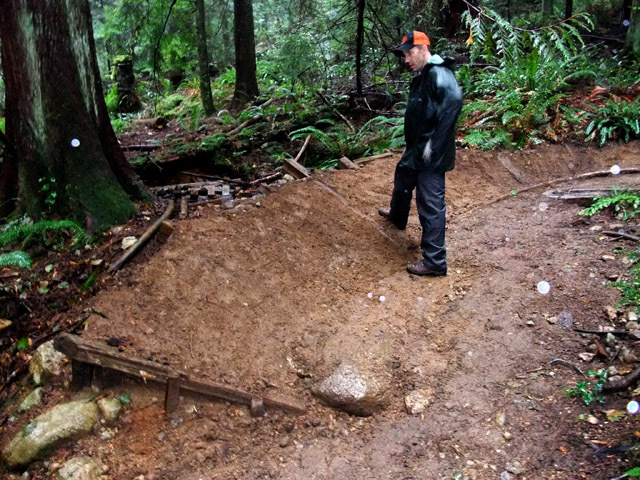 Its a great start, but there's still lots of work to do on our next trail day on Oct 17th. We hope you can make it out to help with the revitalization of Pangor. 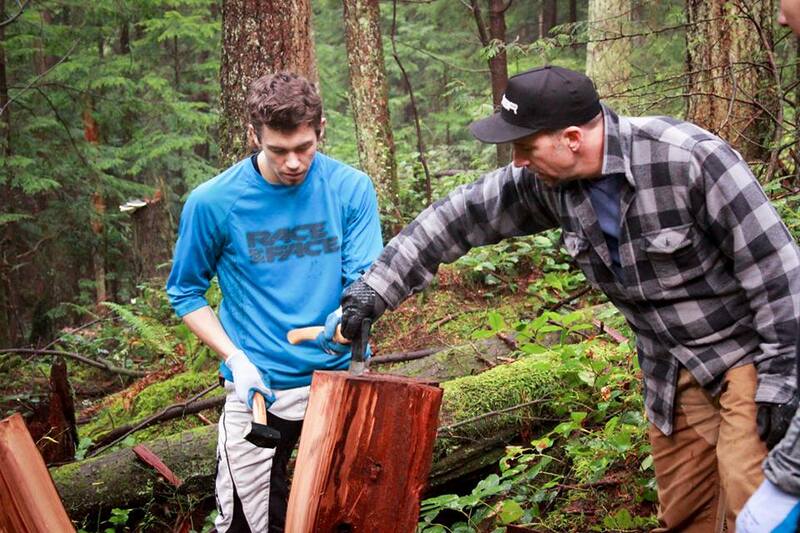 A big thanks to Rob Hlus, Chris Barker and Matt Preston who took the lead on the projects and guided the crews. 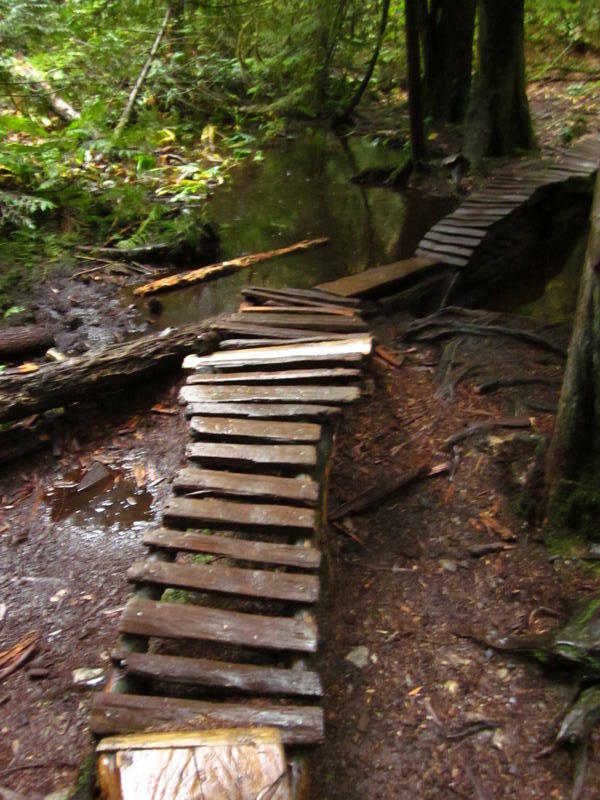 This swamp bridge on Pangor had sunk into the water and was in an advanced state of rot, being in need of replaced footings, stingers and slats. Under the master plan of Rob Hlus and the guidance of Chris Barker, the new bridge is rock solid and now has another decade in it (at least! See the size of those support beams?!). The freshly slatted cedar smells delicious. A big improvement! 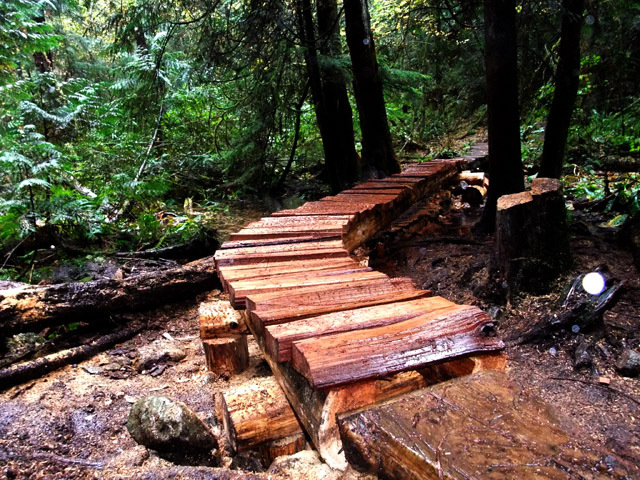 Matt Preston and his crew concentrated on the wood bridges higher up, replacing footings, stringers and big phat cedar slats. The most in need sections have been attended to. Plus, the cribbed berm has been refilled and looks inviting to say the least. New cedar smells like heaven. In all, a fair amount of work was done today-what a difference we can make in just one day! Thank you to all of the volunteers. And a special thanks for working through the wet weather not to mention it's the turkey weekend! Scratch your screen and sniff. Fresh cedar! To our sponsors for today, thank you for supporting the trails of the North Shore! 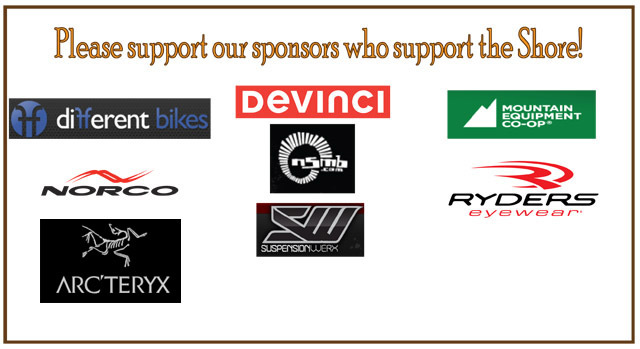 Thank you to Different Bikes, Ryders Eyewear, Arc'teryx, Devinci, Norco, Suspension Werx, Mountain Equipment Coop, Marx Conditioning, NSMB, and Sombrio, our partners in revitalizing the Shore.